Not a Legacy to Stand On! 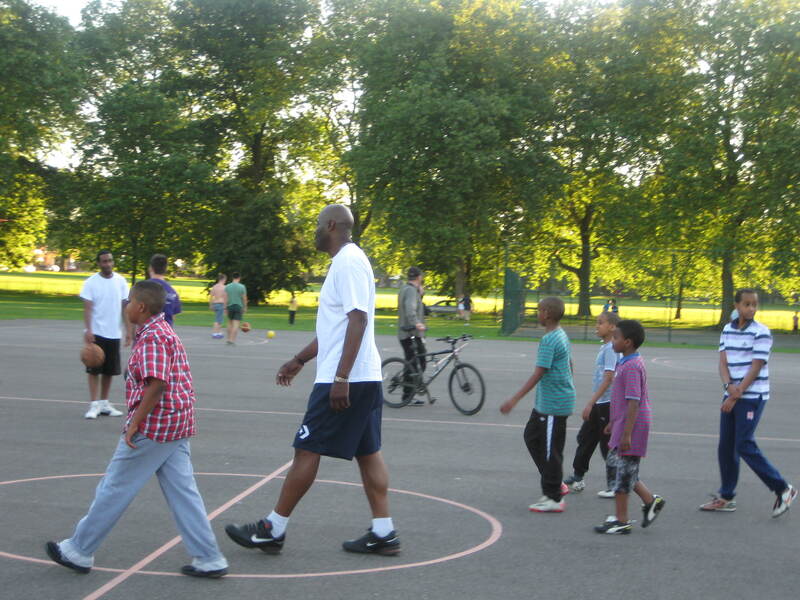 THE OLYMPIC DELIVERY AUTHORITY (ODA) WANTS TO CHARGE HACKNEY AND WALTHAM FOREST THOUSANDS OF POUNDS FOR DOING UP THEIR OWN BASKETBALL FACILITIES AND WILL NOT EVEN PROVIDE SIMPLE INFORMATION TO LEGITIMATE ENQUIRIES ABOUT HOW IT HAS RUINED LEYTON MARSH. The ODA in 2012 spent £5m on Leyton Marsh. You might think that would be marvellous. But local people have received no benefit whatsoever from this wasteful expenditure. The ODA excavated more deeply than they had told the Waltham Forest Planning Committee would be needed, and in the process dug up thousands of tones of contaminated rubble that required a hazardous waste disposal certificate. They erected and then demolished two giant state-of-the-art basketball courts and an athletes’ medical and break-out centre. Although these facilities were scandalously under-used by the Olympic players they were nevertheless kept firmly locked shut and inaccessible to any local basketball players, interested young spectators or schoolchildren. In due course officers of Hackney and Waltham Forest worked up the costed proposals and sent them to the ODA. Over the following three months we probed and prodded the ODA for responses. In the meantime Dalin Vann left, her replacement Rikki Butler left, then her replacement Mikiko Bhalla left. Finally on 28th January 2013 an email arrived from Kirsty McCudden, apparently the last standing External Relations Manager at One Churchill Place E14. Waltham Forest had fallen into a trap. It had been asked to make proposals for upgrading and encouraging use of its own existing facilities, no specification or guidelines were given, no ceiling costs and no conditions were stated. It took the ODA four months to invent such conditions retrospectively and then come up with the announcement that the Council’s proposals would cost more than the ODA’s contribution! A tiny contribution of £10,000. It was evidently always going to be 50% of whatever the Council had bid. Hackney was treated the same. 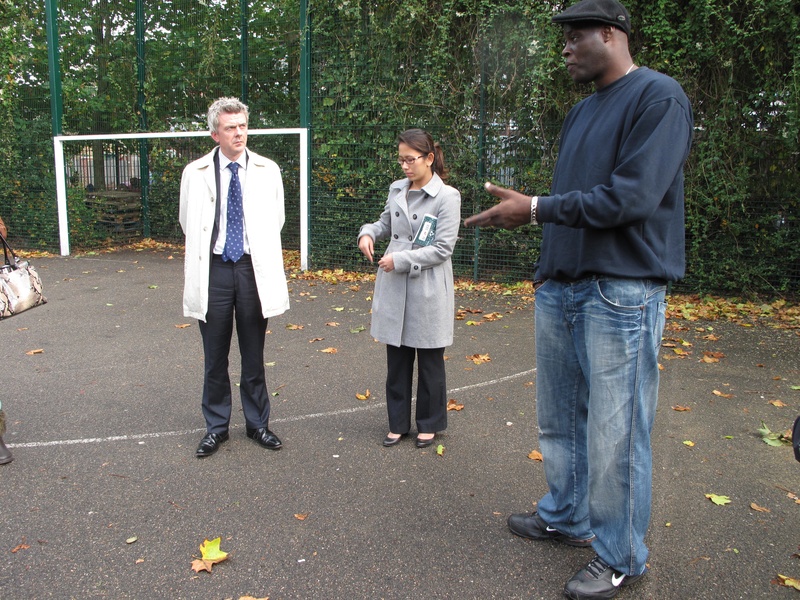 After throwing away £5million on Leyton Marsh to no benefit whatsoever of local people, and actually causing long-lasting damage to precious common land, the ODA is now saying that a few thousand pounds on offer to our very basic local outdoor basketball facilities is wonderful and generous gesture. THE NET EFFECT IS THAT THE ODA WANTS TO CHARGE HACKNEY AND WALTHAM FOREST MORE MONEY FOR ITS RUINOUS 2012 OCCUPATION OF OUR PUBLIC OPEN SPACE. This is a scandal. But more is to come. THE ODA CAN’T EVEN SAY WHAT SEEDS HAVE BEEN USED IN THE TURF NOW LAYING ON OUR COMMON LAND! we confronted the Lee Valley Regional Park Authority meeting on 24th January 2013 that there is no evidence that the turf and additional seeding specification was followed at all. Examination of it when first laid showed it to be too immature and never mown to have been established in May 2012. Discussions and walkabouts with the LVRPA and agencies have upheld our views and fears, and the ODA subcontractor even came up with a number of excuses, one of which is that the wildflower seeds failed to germinate as expected, and that they’re waiting to germinate in the spring of 2013. We say that this would be unlikely, with a sowing claimed to have been made in the previous summer, June 2012. Given that the ODA have failed to produce any validating documents to demonstrate they followed the specification or to confirm the provenance of the seeds and grasses – although at site meetings we were always assured that this would be provided – a formal request for the information was made to the ODA. This later turned into a formal request for an Internal Review, as no information had been produced. The seeding and turfing wasn’t done on behalf of the ODA, it was done on behalf of the ODA’s contractor by a subcontractor. Therefore the ODA isn’t obliged to tell you anything about it (even if we still had the bits of paper). The ODA did go out of its way once to be kind to some environmental groups and gave them some technical information, but you’re now asking too late when we’re just about to close down, so we’re not going to do anything for you more than our strict legal obligations (so this still means no information to you). Anyway you made the mistake of asking for it in the wrong way as far as we’re concerned and you mentioned some connection with the planning conditions. You don’t think we’re going to answer you on that one do you. It’s “outside the scope of your request”. (So, there). HIDING BEHIND THE PROTECTION OF A £40MILLION LEGAL BUDGET, THE SUPPOSED ‘GREENEST OLYMPICS EVER’ REFUSE TO COME CLEAN ABOUT THEIR DISASTROUS PROJECT – THE ENVIRONMENTAL RUINATION OF LEYTON MARSH.